bove the city, with great views, passing Notre Dame Basilica and other landmarks. 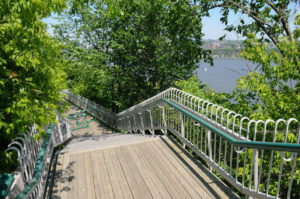 The next section is the ‘Promenade des Gouverneurs’, which is a wooden boardwalk with views to the water, and plenty of stairs (! ), passing the outskirts of the Citadelle, with the Plains to the left. 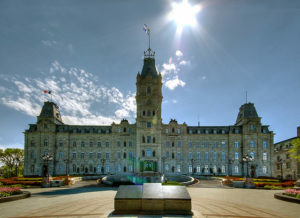 Then, you’ll do an approx 2km Parliament tour, heading down the Grande Allée, and coming up the Ministers Walk. 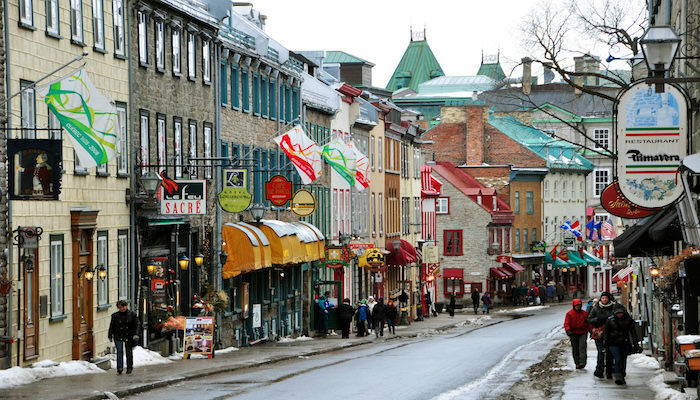 Then, head by the Fortifications of Québec National Historic Site, passing the old ‘Hotel Dieu’ hospital on the right. The final section is a jaunt along the water, following the Corridor du Littoral around the basin, passing the Naval Museum and the Musée de la Civilisation. Finally, head up the stairs to the Musée de la Place Royale, and the Montmorency Park National Historic Site. This last section is hilly with stairs! Note: A funicular is available to take visitors between the old city and Rue de Remparts. 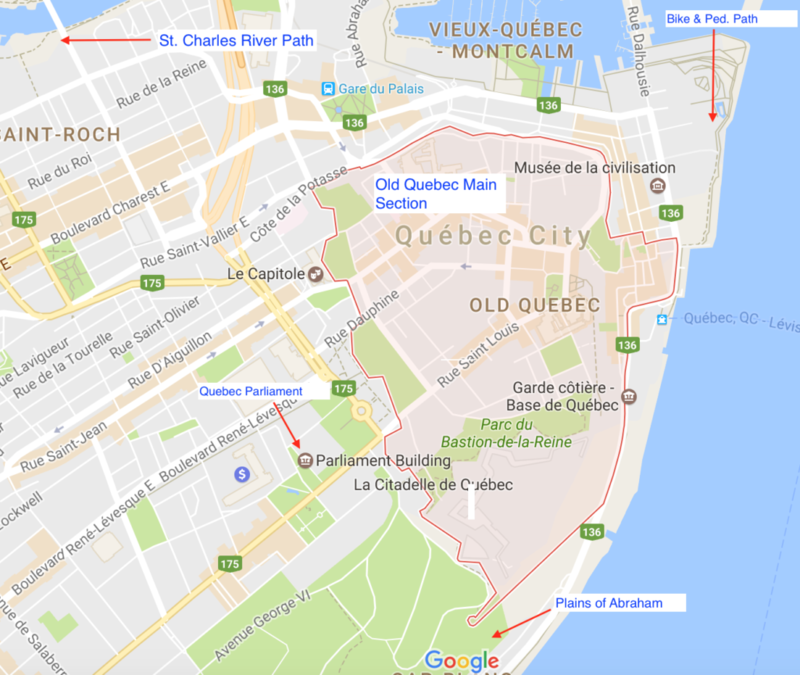 More of ‘Old Quebec’: The area called ‘Old Quebec’ is a fairly compact area right in the city, mainly between Rue des Remparts and Rue Saint Louis. There are lovely, intimate narrow streets with old buildings, cute shops, and many bars & restaurants. In a Europe-esque area like this, it’s always fun to build your own route, going in and out of the streets and alleys. Below is a map showing the area and adjoining parts of the city to add mileage. Plains of Abraham. See our separate route. It’s 2k from one end to the other. Build your own route. This is meant to be a guide, but lots of options to vary!